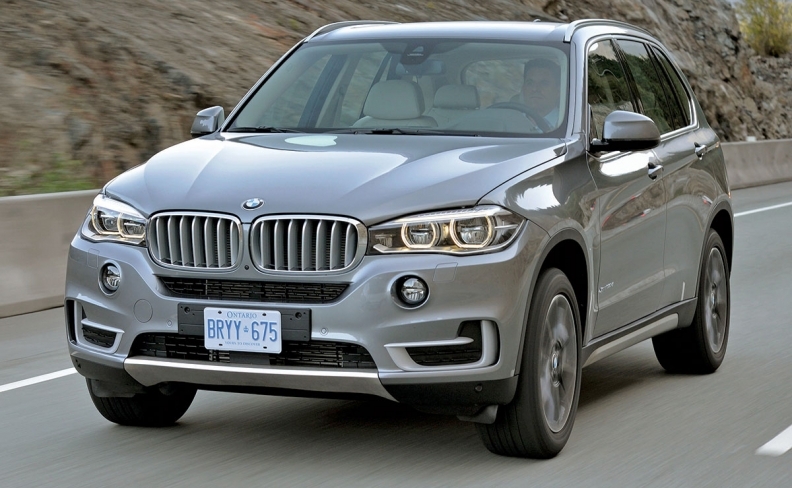 X5: Sharing a plant with cars from Germany in Spartanburg? BOCHUM, Germany -- BMW could conceivably shift some car production from Germany to its U.S. crossover plant in Spartanburg, South Carolina, if President Donald Trump follows through on threats to erect high barriers to trade. Speaking on the sidelines of the annual CAR symposium here, BMW CEO Harald Krueger said Spartanburg would be preferable to building a facility in the U.S. where BMW could reassemble completely knocked-down cars such as the 5-series sedan. Mercedes currently uses this approach, screwing together Sprinter cargo vans in Charleston, South Carolina, that actually are manufactured in Germany to circumvent the "chicken tax." Spartanburg now produces crossovers only, but that could change. "You can never rule out whether in the future you may manufacture locally something else in addition," Krueger explained. "The bandwidth of the production system is flexible enough to build other models in the U.S., just as in Germany or China." Krueger said it took less than nine months after the decision was made for BMW to re-equip its Dingolfing plant in Germany to produce 3-series sedans that before had been built in Regensburg and Munich. "If the production systems are prepped, and when the flexibility is there, you can shift production from one plant [to another] in a reasonable period of time," he said. BMW has come under fire from Trump for its plans to build a new factory in San Luis Potosi in Mexico. Speaking to Germany's leading daily tabloid Bild, Trump said last month that BMW "should not waste its time and money" building cars in Mexico for the U.S. market, since "they can forget about" selling them without a 35 percent import duty. Starting 2019, BMW begins full-scale production of 3-series sedans in Mexico, which has free trade agreements with a number of markets including the U.S. and Europe. A portion of the site's 150,000-unit annual capacity is currently slated for the U.S., although did say some of this could be redirected to Europe if necessary. Krueger said the precise share destined for the U.S. remained open. Krueger emphasized however that BMW's manufacturing footprint in the U.S. dwarfed its Mexico site: "At 450,000 units annually, Spartanburg is three times as large." Ford shelved plans in January to invest $1.6 billion to build a new factory in San Luis Potosi only miles away from BMW's future site, bending to political pressure from Trump, agreeing instead to create new jobs in the U.S.